Wow! The stage makeup was crazy! Novella had a performance at a Novemberfest celebration tonight. 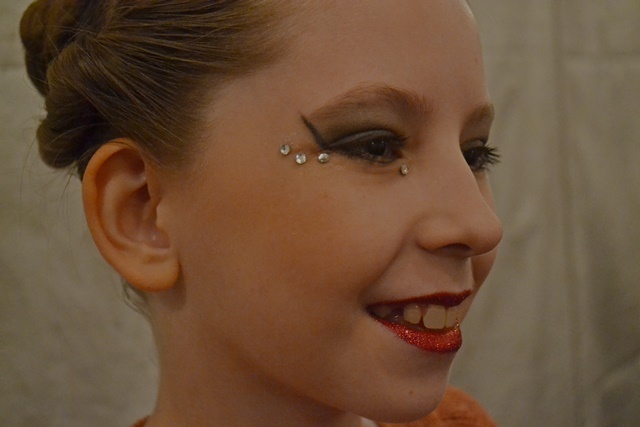 It was the first time we’d had to do recital hair and makeup since she switched to the ballet preparatory school. They glued rhinestones under her eyes and painted and glittered her lips. Again. Wow! I was so cold I didn’t even think to get a picture of her whole costume!